EarlyEdCon 2018 is this Saturday, October 13! Thank you to The Children’s Workshop for sponsoring EarlyEdCon 2018! 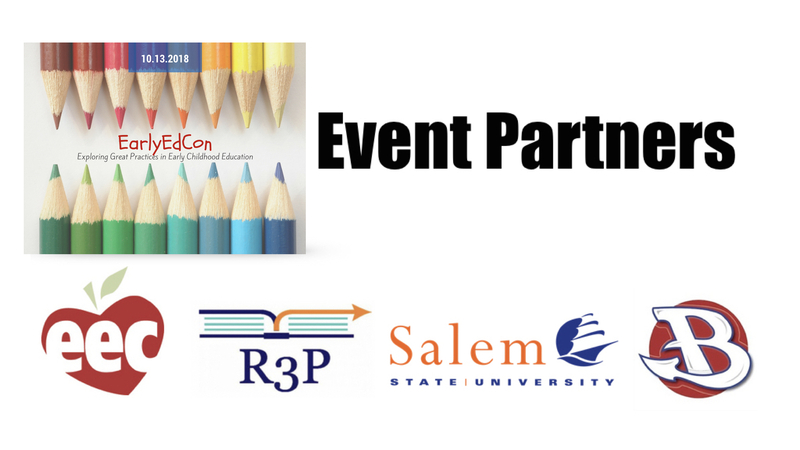 Thank you to Scholastic for sponsoring EarlyEdCon 2018! Since 1920, Scholastic’s mission has been to encourage the intellectual and personal growth of all children, beginning with literacy. In partnership with schools and districts, families and communities, Scholastic provides a wide range of print and digital literacy resources. Our products and programs span from birth to grade 12. Whether readers are showing emergent signs of literacy in PreK, or are working on specific literacy skills for K-3 readers, we are proud to offer new and exciting products that are designed to meet the needs of the whole child and enhance learning in the classroom. Open a World of Possible at scholastic.com! Thank you to Nion Early Education for sponsoring EarlyEdCon 2018! Nion Early Education is dedicated to helping ECE professionals grow by offering workshops, coaching and assessment in a variety of areas! With over 25 years in the Early Childhood field, Nion brings experience, understanding and excitement when working with clients to help them to meet their professional goals in a meaningful way. Thank you to NeighborSchools for sponsoring EarlyEdCon 2018! NeighborSchools partners with early childhood Educators to open exceptional in-home childcare programs. We believe that in-home programs are the model of the future: children benefit from better ratios, mixed age groups, and experienced ECE professionals; Educators get to form deep connections with children, and can earn more than typical preschool jobs income; discerning parents get to work with trusted educators, in a more convenient setting, without having to sacrifice quality. We’re on a mission to bring ECE back to the neighborhood – come and join us! Thank you to the the Tree Top Book Shop for sponsoring EarlyEdCon 2018! Tree Top Book Shop is an online children’s bookshop who specializes in the development of Story Stacks to enhance reading and literature for children. Tree Top Book Shop also offers school fundraising opportunities, holding free story sessions for classes/groups with the use of props, games and visual aids. Tree Top Book Shop sells books, Story Sacks, Story Sack Bundles, Puppets, games and Safari LTD Figures. Tree Top Book Shop also assists local schools, libraries and childcare facilities in the purchase and development of their own Story Sack resources. Click here to learn more about Tree Top Book Shop. EarlyEdCon has reached capacity for registrations! Thank you to everyone who has registered! Thank you to Community Teamwork for sponsoring EarlyEdCon 2018! Community Teamwork Family Child Care Program is seeking Family Child Care Provider/Educators to affiliate with our Family Child Care Program. We offer care and education for children of low-income families with subsidized child care. Community Teamwork is a catalyst for social change. We strengthen communities and reduce poverty by delivering vital services, such as Family Child Care services, and collaborating with key stakeholders to create housing, education and economic opportunities. Find out more about Community Teamwork at www.commteam.org.